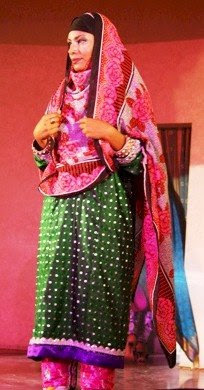 My next country on 'Around The World: Hijab Style' is Oman, the first Arabic country I'm doing yay :D Now their style is pretty diverse ranging from clothing similar to that of the traditional Pakistani dress to the glamorous black abaya. 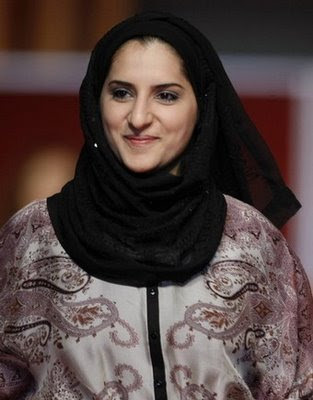 I'm sure a lot of Omani hijabis wear modern clothing but I didn't really come across any pics of that style so mainly, there are the abayas and traditional style in the post. 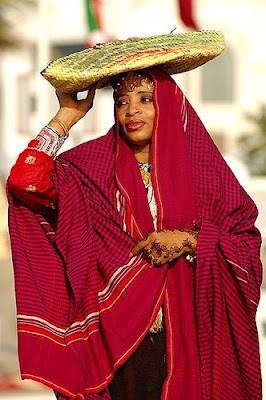 The traditional Omani niqab, is roughly this shape and is usually hard as opposed to other Arab countries where it's made of layers of gauzy black cloth. 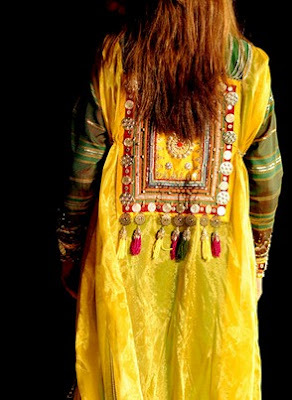 Like Pakistani style, Omanis wear brightly coloured, embellished outfits. I love this next one! More countries coming soon, Insha'Allah! ooh masAllah they're so pretty and chic!! can you post more of these if you get the chance? they're so beautiful. 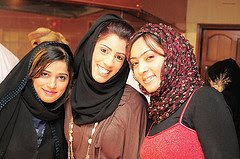 the girl in the silver hijab is so cute! oohh...They are all so beautiful! I dont understand. Some girls leave the front hair uncovered. Are they not defying the purpose of hijaab? That of covering the hair to uphold modesty?! What is with that? A girl at uni wears her hijaab like that. Non Muslim girls often ask ME, if she is going to show the front quarter of her hair why not show it all?! These girls are so pretty mashAllah but seriously, if you decide to wear hijaab, wear it in the proper manner so that people do not look at you twice and think What on earth?! No offence intented to anyone, everyone is entitled to thier own opinion and i have voiced out mine! God bless you All. Love&Peace. Salaam. M.
Being an Omani its is with great pride that i answer to this post. 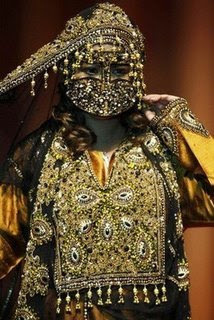 I love that Omani niquab! It makes me think of a ninja... not sure if that's a good thing! 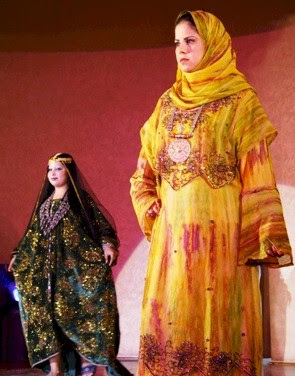 The silky abaya you like is a moroccan-style jelaba I believe. Difficult to find outside of Morocco! 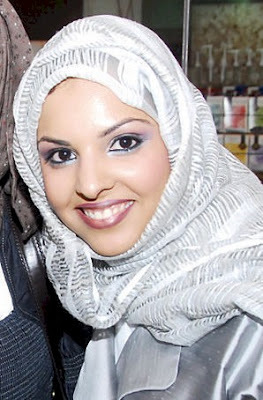 Salaam :) I really like this post, I like seeing Islamic clothing from around the world. I hope I can visit the UAE one day inshaAllah.